Vietnam’s farming sector has been transformed over the last five years through the public-private partnership model between the Ministry of Agriculture and Rural Development and various multinationals. This strategy has proved incredibly useful in promoting “made-in-Vietnam” agricultural products in many demanding markets across Europe. The “new vision in farming” initiative was launched by the World Economic Forum (WEF) in 2010 in Vietnam and has since involved the participation of 11 different countries and 20 major global corporations. These public-private partnership (PPP) projects have been quite successful in Vietnam, with working groups involved in fisheries, coffee, tea, fruits and vegetables, general commodities, and agro-business financing. PPP projects in these sectors have involved international corporations such as Metro Cash&Carry Vietnam, Unilever, Nestle, Syngenta, Cargill, Bunge and PepsiCo. Cao Duc Phat, Minister of Agriculture and Rural Development believed that asides from promoting a better mix of private and public enterprises, the PPP model helped the adoption of new processes, greater certification, consumption, increased productivity and added value to a wide range of Vietnam’s products. Five years into the “new vision in farming” initiative, some 10,000 farmers in Vietnam have adopted sustainable standards, giving Vietnamese agro-products access to international markets through the distribution channels of the international corporations. More importantly, this has laid the groundwork for new production models to emerge, forming value chains that use sustainable standards to spearhead businesses. The initiative has been highly effective economically and has become the most successful imprint of the “new vision in farming” programme for the WEF in Asia. The active involvement of international corporations has helped local agro-businesses make substantial progress across the global farming sector. “Vietnam will apply this model on a wider scale in the future because it’s a new approach in agro-business that really works,” said Phat. Of the six working groups, fisheries is a particularly high-performing sector, successfully yielding good quality fresh fish which is produced in a sustainable way and processed under international hygiene and food safety standards. “Over the years, the project has been able to put in place a quality and sustainable fish supply chain in the previously-overlooked domestic market. 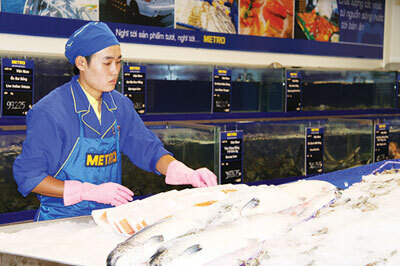 By connecting links in the fish supply chain, we want to improve the value of farming products within the country and find sales outlets for Vietnamese fish products,” said Philippe Bacac, managing director of Metro Cash&Carry Vietnam. 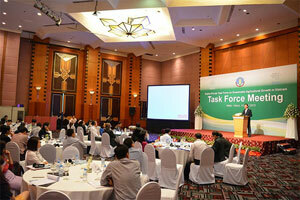 To date, Metro has completed the training and certification of more than 400 farmers and traders. 70 farming households involved in aquaculture production have adopted their standards, including 28 which are currently awaiting VietGAP certificates by the General Fisheries Department. This year, Metro will continue to widen the certification coverage for different fish products, including tiger prawns, crawfish and catfish. 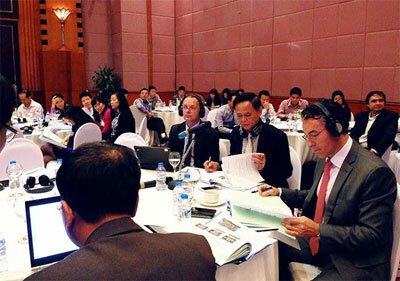 Meanwhile, the group will also continue to work on the development of its fish-platform in Can Tho city. 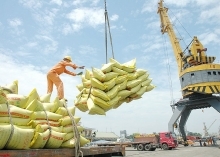 More than 60% of fish products supplied to Metro come from the Mekong Delta. The Can Tho platform has been a nodal point supplying Metro’s 19 stores nationwide. 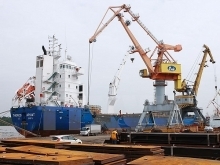 The total volume of fish purchased through the platform has reached 7,000 tonnes after three and a half years, according to Metro Cash&Carry Vietnam. This model was praised at the WEF for Southeast Asia, where Metro won awards for its excellent sustainable supply chain in 2011 and 2012. In addition to building a sustainable and world-class fish supply chain for the domestic market, Metro has also introduced “made-in-Vietnam” products on to a discerning European market. In 2014, Metro exported 81 containers of frozen prawns and pangasius to 19 countries with the total value over US$7 million.